Let me pause one moment and explain what conversion rates are. The conversion rate is the number of visitors to your site in comparison to the number of visitors who say YES to your call-to-action. Your call-to-action may be clicking on your opt-in box; it may be buying your book or product; it may be signing-up to an ecourse you’re offering . . . you get the idea. An example of a conversion rate: If you had 100 visitors to your site and one of them said YES, you would have a 1% conversion rate. In an experiment, in which various elements of a website were tweaked to determine which would have the greatest impact on conversion, having an effective headline was more important than changing elements of the landing page or shopping cart process. In fact, changing a headline generated 29 percent more leads. That’s close to one-third more leads. 1. Quickly grab a surfer or visitor’s attention. 2. Clearly define the WIIFM (what’s in it for me) or the value. If the visitor knows what the benefits are, he’ll be more receptive to ‘following the yellow brick road’ you have in place for conversion, to say YES to your call-to-action. “The Value Litmus Test,” an article at ValueCentricSelling.com, explains that along with having the value front and center, you should also provide the ‘timeline.’ This is another factor that will help bring in that traffic. The timeline is the length of time it will take the customer to achieve the benefits specified or promised. This may not always be applicable to your product or service, but when it is it’s important to include it. An example of using the timeline strategy is the 7 Day Ebook by Jim Edwards. You immediately know this product is promising that you can write an ebook in seven days. It meets all the qualifications for an effective headline. Another example of ‘timeline’ is the Five Minute Writer. This title also lets the reader know the time element involved. In as little as five minutes a day you can earn money writing. While the title doesn’t specify the benefit or promise, the sales copy does. The example headlines/titles above each have a value proposition. They’re each promising a benefit and a specific timeline. The writer or marketer must be sure the promises/claims stated are realistic. But, even more than realistic, the value proposition must be believable. If the visitor wonders if it’s really possible, you’ve lost him. 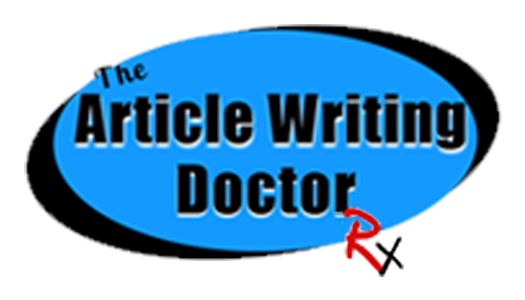 NEED HELP WITH YOUR CONTENT WRITING PROJECT?